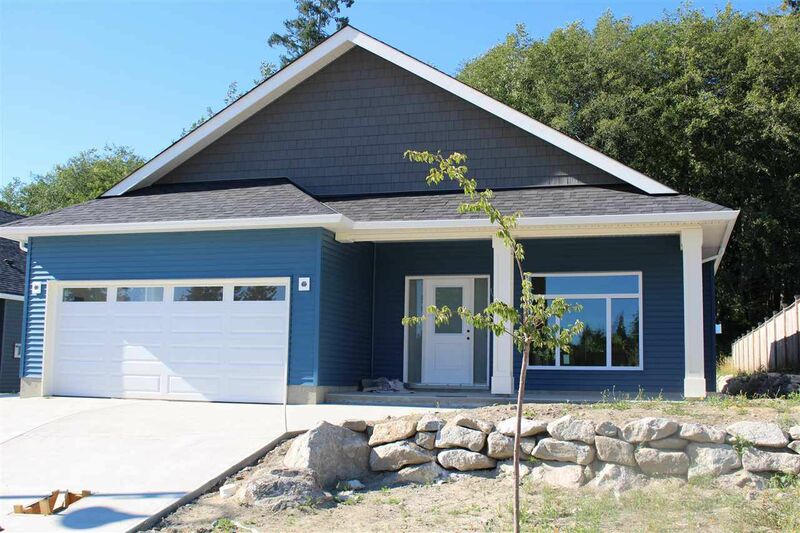 Brand New * Quality Rancher in West Sechelt. Generous room sizes in this 3 bdrm plus family room home found in popular neighborhood. Lofty 9 ft ceilings and open layout, oversized windows plus character window boxes, cozy gas fireplace in living room, laminate flooring throughout main living area and tile bathrooms. Quality shaker cabinetry and quartz counter tops finish the kitchen and baths. Full Samsung stainless steel kitchen appliance package. Large patio overlooks back yard and into the neighboring ALR property. Half block to community park and an easy walk to West Sechelt Elementary School, convenience store and bus stops. Ready for occupancy towards the end of August. Full home warranty in effect. On sewer.